The discovery of a human foot in a running shoe on the Seattle waterfront this week is at least the 15th such appendage found along the Pacific Northwest coastline since 2007. 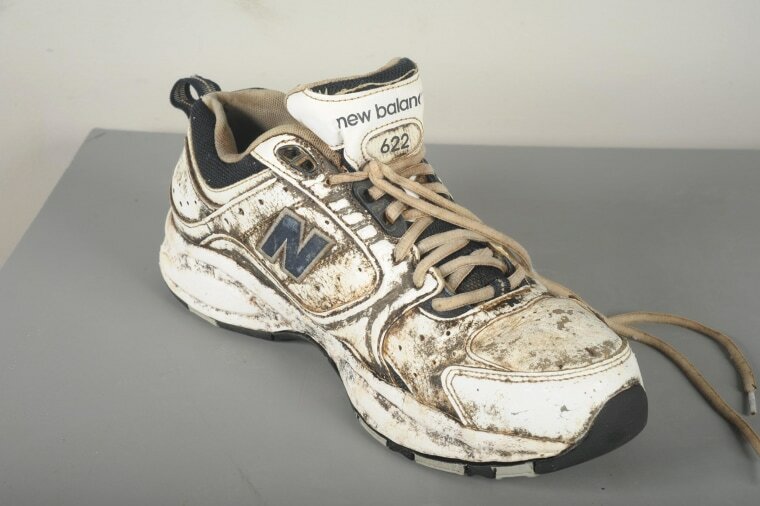 The human foot in a white New Balance tennis shoe was found Tuesday morning on the shore at Centennial Park, just north of downtown, by volunteers cleaning the park, Port of Seattle spokesman Peter McGraw told NBC News. The foot was turned over to the King County Medical Examiner’s Office for further investigation. The King County Medical Examiner’s Office on Wednesday released a photo of the shoe – a New Balance athletic sneaker, men’s size 10-1/2, white with blue trim – in hopes the public could help identify its wearer. It said the foot also was clad in a black, cotton Hanes brand sock. The mystery of the disarticulated feet first gained a toehold in the public consciousness when a young girl from Washington state found a badly decomposed human foot on Aug. 7, 2007, on a beach on Jedediah Island, in Canada’s British Columbia province. The foot, that of a man, was wearing a size 12 Adidas running shoe. That gruesome find was followed by a spate of similar discoveries, mostly in British Columbia but also in Washington, leading some to speculate that a serial dismemberer was on the loose. But Barb McLintock, a spokeswoman for the British Columbia Coroners Service, said an investigation determined that all of the 11 feet found there were the results of “non-suspicious deaths” – meaning they were either attributable to accidents or suicides. But why do they end up on shore? “The answer to that, we believe, is that the material in the running shoes or hiking boots is too tough for anything to eat through, and some of them have air in them or rubber soles that cause them to float,” McLintock said. Though human feet have been found on beaches in many parts of the world, McLintock said the “Salish Sea” – an unofficial name for the Strait of Juan de Fuca, the Strait of Georgia and Puget Sound off northern Washington and southern British Columbia - appears to be uniquely suited for such discoveries because of circular currents that carry debris through the intricate coastal waterways, she said. “All of the feet have been found within about 125 miles of one another,” she noted. McClintock said that coroner’s officials there have managed to match all but two of the recovered feet to victims, providing closure to their families. In one case, she said, they were able to confirm the death of a fisherman who had vanished in 1987 – 25 years before his foot was found.